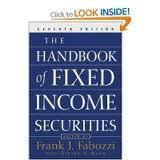 When you are young, the success of your portfolio probably does not depend on possessing the best fixed rate bonds. As you get older, your investments should become more conservative and move away from riskier stocks. However, this does not mean that you should accept lackluster performance from less exciting bonds as you near retirement. It is possible to generate decent returns form your investments even as more of them become bonds rather than stocks. The bets fixed rate bonds will help you do more than just eke out a living while you are retired. They can help you continue to improve your portfolio even after you have left active trading. The best fixed rate bonds for you will depend on your own needs and plans. These bonds have various durations. If you do not plan to touch certain funds for a long period of time, you can get bonds that have five-year plans. The interest rate on these bonds will go as high as almost five percent at the present time. If you think that you will need access to certain funds in the near future, the best fixed rate bonds for you may have shorter durations. There are bonds that return fixed rates over periods as short as six months. The interest rates on these bonds are lower, closer to three percent in most cases. Provided that you have a significant amount of money with which to invest, the wisest course of action is to invest in a variety of fixed rate bonds. This allows you to leave a certain amount of money generating interest while other funds remain more immediately available. The best fixed rate bonds are really a selection of different bonds.